Want to stand out from the crowd? Want people to envy your skis? Why not design your own? Give us a call at (203) 529-3681 or drop Joe a note and we'll get the build moving so you can get down the slopes in style. Need some inspiration? Check out some of the Co-labs and Custom Skis we've built. Timmer's Way is an annual music festival held in honor of Timmer Wood. The Wood Family approached us and asked if we could make a ski to raffle off in the annual auction. We said YES before they could even finish. We are thrilled to be part of this event each year. With the dismal winter the East Coast had during the 2015/2016 season we needed something to pick up our spirits. That's when we ran into the retro look, vintage feel, die hard attitude of the Till I Die crew. Rumor has it the owner of Totem Pole Ski Shop was heard to say, "Now, that looks like a ski I could get on," when we dropped off the Custom Ski Block ski to John, A few weeks later, Surprise!!! Happy Birthday!!! Paying homage to the City of Brotherly Love. We teamed up with one of our favorite Team Riders, Brent, and created this one of a kind graphic. It's all about the Benjamins!!! Shark Week, Jimmy Buffett, Jaws, Sharknado, take your pick. We love Sharks!!! That's why when our favorite Jackson Hole transplant and shark aficionado asked us to help her design a ski with a shark theme, we were more then stoked to work on THE MEGALODON!!!! MAHALO, Hawaiian for THANK YOU, or if you're another one of favorite riders it's the only nickname your ski coaches give out to differentiate you from the other Chrises in the class. The Mahalo, built with ALOHA! The SkiBloc is the creation of one of our original Team Riders, John. When skiing is your life, everything is just black and white. You're either in or you're out.  John has been a huge influence in the develpment of Facet Skis. This is the ski that started the Totem Pole Co-Lab. VT America was the design of Jace after he walked away from the USASA Nationals at Copper Mountain with 1st place in the Skiercross Group #3 (16-18). We helped Jace design a ski as a way to express his love of Country and State. Little know fact: a working replica of this ski hangs on the walls of American Pie in Ludlow, VT.